Add rich texture and a luxurious look to your sofa, chair or bed. 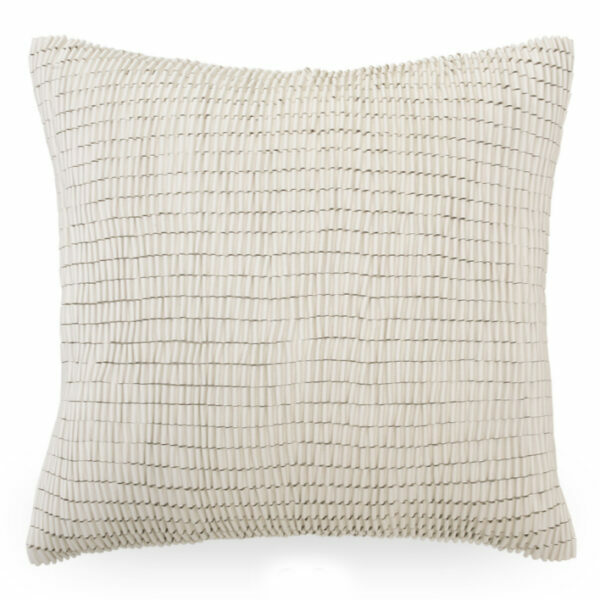 This 22″-square pillow features a linear design with a modern ruffle. The versatile parchment color lets the design take center stage.